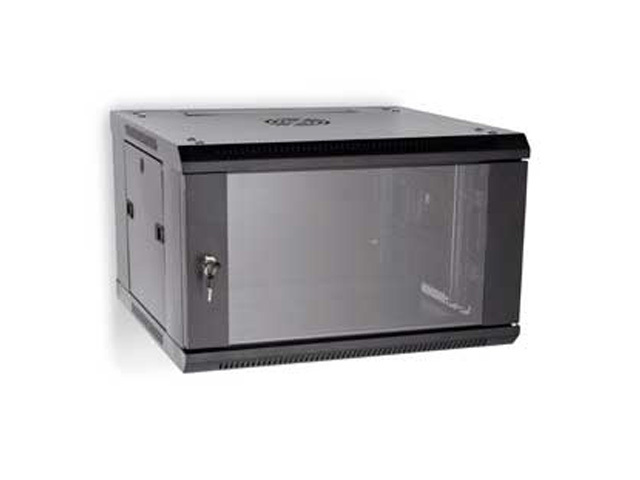 The SOLITINE 6U Fixed Wall Mount Rack mounting in just minutes, this fixed wall rack has a tempered glass door and removable locking side panels. Included with this rack is two sets of fully adjustable cage-nut style rails and removable top and bottom cable slot panels, allowing easy installation of CAT5 or fiber optic cables. Depth	20.5 in (520.7 mm.) max.